I think tech guys are at work, I leave them work. I first saw my Darwins, but they are not impacted. I also sometimes have curious spykes on the curve of my investor portfolio. Already before reloaded. "Now you listen to me Mr. LSC... I need you to trade consistently under any and ALL market conditions.. kapeesh?" LSC: "yes sirreee... you got it boss! All market conditions, open or closed market doesn't matter.. Got it. " Now the gap is reduced to -2% but my current total return should be higher, more than 30%. Here you can see that my equity is at a level higher that 22 March. The chart of the darwin corresponds to the quote reached before the gap. Just noticed a similar gap with JCW, so I think that there are some issues with the displayed quote for swing traders that are always at market. i think it is normal now. We have noticed these jumps when users keep browsers open for a long time. While we are working on it, please note that it should be fixed as soon as you refresh your browser (F5). Lets build "Darwinex community EA"
If I find the way to reduce the parameters of my strategies I am a very happy trader! During these days I revised the optimization of 6 markets that weren't performing well in LSC . These markets have been reoptimized using only 5 parameters instead of 6. One filter instead of 2 filters, like in KVL . Performance (profit factor) is the same or better than before. Less parameters, less rules and more trades for a more robust strategy. have you revisited on these markets both the Mean Reverting setup added after February and both your Trend Following components ? LSC is still 90% trend-following. The revision involved only the trend-following strategies. There are a lot of people that is communicative only in good times. Performance of LSC is very disappointing, on 1y 6m and 3m . The mean reverting setup is running on gbpusd and audcad and there are no big problems there. Problems come from the trendfollowing strategy running on the remaining makets. I worked a lot on that during the scheduled reoptimization of the beginning of January. In spite of this, results are still disappointing. Changes require time to be evaluated, so I will wait till the end of Q1. In the meantime I am working on another momentum entry rule. The worst performer was usdjpy and it has already been removed. I still trust the trendfollowing portfolio as you can see from the equity involved. Other decisions are postponed to the end of Q1. It seems that waiting 2 months was the right decision. Good stuff @CavaliereVerde. You are right that this is the best way to run a Darwin right now, and even now it is possible to suspend activity at critical moments without being punished by VaR (e.g. no need to "trust your strategy" through Brexit-vote ). In your opinion big hedge funds like Winton closed their positions or suspended their strategies for Brexit, ot US elections or other stuff like that? I NEVER suspended my strategies because of events, and I run my backtests accross every event happened during the last 4-6 years. I believe this brings us back to the discussion on news-releases, and I don't want us to run in circles. I assume that both approaches are valid, and that the context-insensitive approach is at an advantage in the Darwinex-environment because it caters to algos' need to standardize risk across different Darwins. Just two more points: (1) are you as well diversified as Winton? (2) who had a greater chance of not being long EURCHF on SNB-crash: the trader who suspended trading USDCHF (at least to long side) once he noticed that the peg created an accident waiting to happen (and whose VaR in the Darwinex-world would have fallen as a consequence), or the guy relying on 10 years of systematic trading and 2089 years of backtests on the pair? Not as diversified as Winton of course. SNB crash taught me that there are no walls in trading and to stay on stuff too big to be manipulatd in that way. I never traded CHF pairs but even if I traded them with my risk profile and diversification a -2000 pips had been -40%. A big hit but I would have survived. Trader A may have 20k to trade with, but wires only 5k to Darwinex and trades this amount with higher leverage. 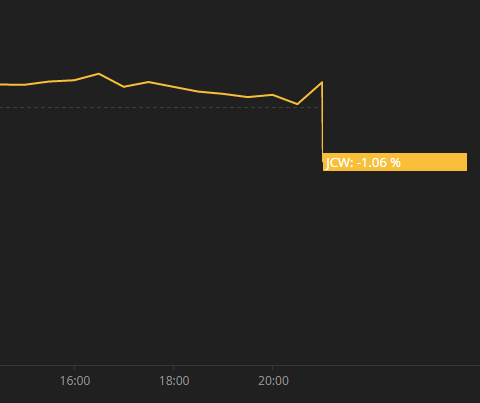 In the event of a Black Swan, this trader will be down only 5k on his 20k trading funds (especially true with the upcoming negative balance protection) and will have another 15k to refund. The guy who played a 20k account on much smaller leverage may in fact lose more than the high-VaR-trader. This is related to the previous discussion. I think in this way, if you dont' trust your strategy or you dont' trust the broker why should I trust your darwin? If you want to be a fund manager you have to manage your account as if it were all of your money. In my case the account is not all my money but a significant part. I think that is the trader has a significant part of his money in the account the darwin won't be expendable because the trader will behave as a true fund manager. Yes, those are legitimate questions. Actually the strategic use of leverage I am talking about does not necessarily imply lack of trust in broker or strategy, but merely better control of the max. loss in the case that liquidity goes away. My arguments were mostly to bring nuance to the debate, as it is a fact that the practices I described exist (also the widespread practice of spreading trading capital across multiple brokers, which is just another instance of diversification of risk). In practical terms and from an investor's standpoint, I admit that yours (and @OldSchoolPT)'s is probably the safest stance, as you cannot verify what motivates the trader's high VaR (and there is little opportunity cost in excluding high-VaR traders). AhAhAh, a professional trader for a hedge fund, a bank, etc doesn't invest/trade with his prop fund. Why should i make differently ? If darwinex, and in the darwinexchange, want to all traders have a capital > 5k also they could oblige to open a 5k trading account not 500$ mini. Your discussion is sterile, you confused strategy and darwin, you confuse prop trading and darwin trading. With my smallest account possible ($FAX), i pilot the darwin and i do not look at my trading account. I have a vision different from the others traders which want to earn money with their capital. I hope to gain while being comparable trader for/at darwinex, paid with the performance. My capital does not exist in my eyes, the investors, little imports me, they will come or not… they will note the control.